Valerie Wyatt is the world’s leading expert on gracious living. She has an extremely popular TV show, multiple books under her belt, and is no stranger to taste and quality. She appears to have it all, and is trying to convince herself that she’s happy, but there’s still a grain of doubt that’s niggling at her, and on November 1st, no matter how many ‘touch-ups’ she’s had done, no matter who does her hair, and no matter how many times a week she sees her trainer, she’ll still turn 60. When she does, and it’s announced on the radio to all of New York City, Valerie’s flawless façade begins to crack. April Wyatt, Valerie’s headstrong daughter, turns thirty on the same day. April has seen her biggest dream come true: she has her own (amazingly successful!) restaurant, but she too is alone, even though she always thought she’d have it all by the time she turned 30: the husband, the baby, and the career. When April sees her acupuncturist that day, she is startled by the news that Ellen (her counselor, confidante, and acupuncturist) can feel in her pulses that she’s pregnant. She picks up a home pregnancy test to quell her growing fears, and sure enough: she’s pregnant. The worst part? The father is an acerbic, hard-headed restaurant reviewer who, two months earlier, slept with her, gave her restaurant a scathing review, and never called her again. John Adams is a football hero who has just turned fifty. He lives a life that is in no way consistent with his age. A champion who blew out his knees, John is now a highly sought after sports reporter who is hanging on to his youth through rigorous workouts, a touch of botox around the eyes, and bedding every twenty-something that comes his way. His show broadcasts out of the same building as Valerie’s, so they cross paths once in awhile. After a startling turn of events, the two of them bond through tragedy. 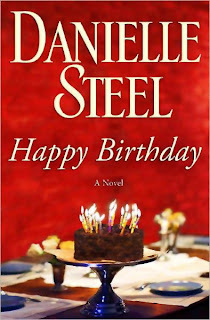 In "Happy Birthday," Danielle Steel weaves her usual brand of magic around highly likeable characters and places. In fact, I found myself longing for April’s restaurant. It sounded delicious!! She builds lives for her main characters that are multidimensional, and she really pays attention to the details and makes all the facets of the characters and their lives work toward the storyline. Admittedly, her stories are a little bit formulaic, but they’re still enjoyable. If you’re anything like me, there’s nothing more satisfying than a happy ending where all the loose ends tie up tidily. 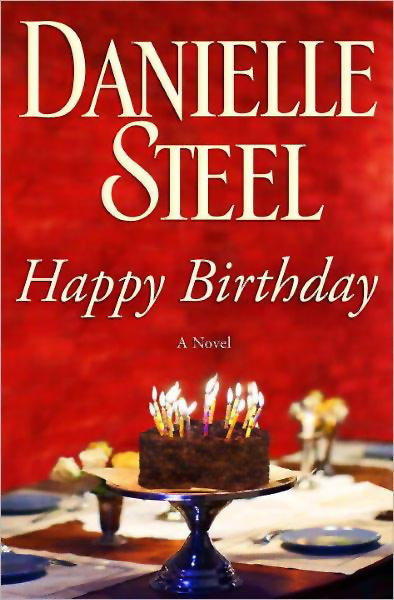 I’d definitely recommend "Happy Birthday" for a quick weekend read. Tuck it in to your poolside bag (especially now that it's a mass market paperback), right next to the bottled water and your colorful towel, and get ready to get lost in someone else’s life, fictional though it may be. And don’t forget the sunscreen: if this novel could keep me up until one in the morning on a work night, it could easily keep you entranced all the way from pasty white to lobster red! Great review. 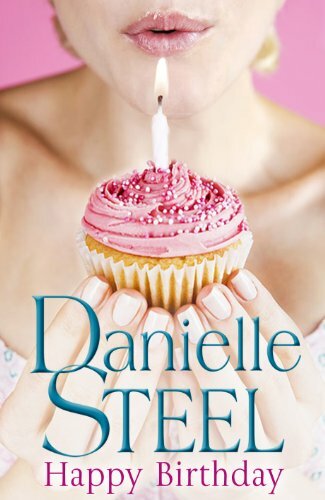 I haven't read Danielle Steel in years, but his review makes me want to!